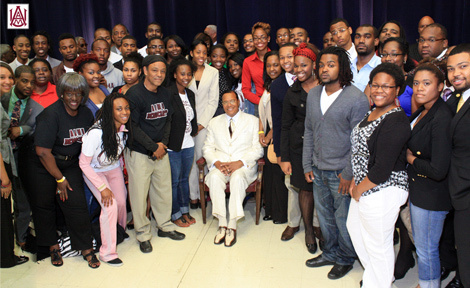 Minister Farrakhan’s Message of Self-Reliance is perfect for Black college students. The Chronicle of Higher Education published an article, written by Ohio University professor of economics Richard Vedder, titled “Why Did 17 Million Students Go to College?” In this article Vedder documented all the Americans with high-level-education degrees that are either not working in their field or not working at all. “Over 317,000 waiters and waitresses have college degrees (over 8,000 of them have doctoral or professional degrees), along with over 80,000 bartenders, and over 18,000 parking lot attendants. All told, some 17,000,000 Americans with college degrees are doing jobs that the BLS [Bureau of Labor Statistics] says require less than the skill levels associated with a bachelor’s degree.” At least 5,057 PhDs are working as janitors. The Honorable Minister Louis Farrakhan’s message is the antidote to this problem of students graduating from school and being unable to get a job commensurate with their skills, talents, abilities and education. Minister Farrakhan has long taught what is a staple of NOI teachings—that Black students should get an education that enables them to go into business, become entrepreneurs and be in a position to employ our own people. Jews do this all the time and they are successful. Minister Farrakhan teaches students to avoid the pitfalls of student loan debt. The Minister spoke recently at UC Berkeley, where students graduate with an average debt of $16,056, according to a recent NBC article written by Ayesha Minhaj. The Honorable Minister Louis Farrakhan teaches that debt is slavery. The Nation of Islam has always taught Black people that we should be thrifty and spend and invest our money wisely. The Minister’s message to the students will guide them into fields that will give them the greatest ROI or return on their investment of time, money and effort. The ban against Minister Farrakhan on college campuses is a weapon in the ongoing economic, political and social crucifixion of strong Black leadership. The Secret Relationship Between Blacks and Jews, Volume 2, lists many who were victims of Jewish castigation and consequent economic retaliation only because they dared to critique Jewish behavior and venture into the arena of economic independence. (Malcolm X, Martin Luther King, Booker T. Washington, Oprah Winfrey, Julian Bond and Bishop Desmond Tutu et al have all been labeled at some point in their careers as “anti-Semitic.”) The paternalistic Jewish strategy for Black self-help—known as “non-economic liberalism”—was developed by the Jewish president and founder of the NAACP, Joel Spingarn. Spingarn and his Jewish and Gentile cohorts steered Blacks far away from the world of commerce and trade and banking and finance, even though, according to the Universal Jewish Encyclopedia, Jews “were pioneers in the primary stages of capitalist development and therefore held a dominant position in these cultural economic functions which may be called the nervous system of capitalist economy. Banking, the stock market, export and import fall within this classification.” Joel Spingarn nonetheless advised W.E.B. Dubois and the NAACP to adopt the lame-duck strategy of “non-economic liberalism.” This pointed avoidance of economics has made all our efforts in the fields of politics, education and law futile, because our activities lacked a collective economic component. Black youth of today are largely viewed as incorrigible. The source of influence for today’s youth comes primarily from the Hip-Hop culture. And it is Minister Farrakhan who is the godfather of the Hip-Hop culture, as his 10-year New York ministry helped birth the popular youth culture in the Bronx in 1972. Hip-Hop bears the imprint of Minister Farrakhan, for it is a hybrid art form combining spoken word, musical accompaniment and performance art. Minister Farrakhan’s public life reveals a devotion to the spoken word of truth and a musical virtuosity, as demonstrated by his mastery of the violin and concert performance. His connection to the Hip-Hop community automatically grants him entry to our youth’s hearts and minds. Jewish Groups attack Farrakhan but the Nation of Islam teachings are laced with concepts familiar and agreeable to Jews. The Nation of Islam agrees with Jews that education, economic autonomy, marriage and family, ethnic loyalty, knowledge sharing and a disciplined personal life make communities strong and constitute the path to power. 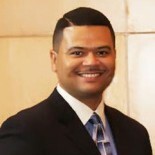 The Minister’s message, therefore, if internalized by the students, becomes an equalizing force propelling the Black students from ignominy and poverty to honor and abundance, thus enabling them to share company with Jews and other members of the human family that are successful—not only in business, but in all areas of life. 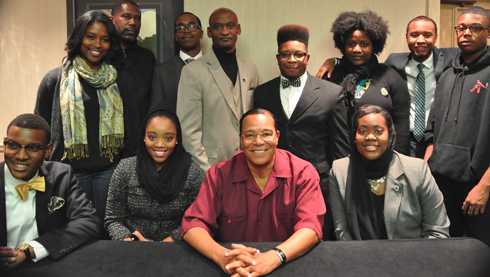 Minister Farrakhan’s spirit of revolutionary defiance is necessarily contagious. Jesus, Muhammad, Martin Luther King Jr., Marcus Garvey and the great “change agents” of history never compromised truth and principle to avoid controversy. They all were known for “speaking truth to power.” If the students internalize this spirit, they will become what the Black people of America need of a “new intelligentsia” that is passionate, principled, purified and prepared to lead our people toward a full and complete freedom. There is a need for an Anti-War Movement among Black Students. Black, Latino and poor White youth make up the U. S. armed forces. They will be the casualties in America’s projected war with Iran. America’s foreign policies are influenced by the greedy multi-national corporations whose desire is to control and capitalize on the precious natural resources of other countries. These are the same corporations that enjoy close relationships with the banks that become rich through student-loan debt. It is no accident that often the only opportunity for forgiveness of student loan debt comes in the guise of a military offer to repay student loans if they join the armed forces. The voice of Minister Farrakhan, like that of his teacher the Honorable Elijah Muhammad, warns the students not to join the U.S. government’s war effort in the Muslim world. Minister Farrakhan condemns America’s long history of using the poor to fight the wars of the rich, and his message to the students is that they should be conscientious objectors. 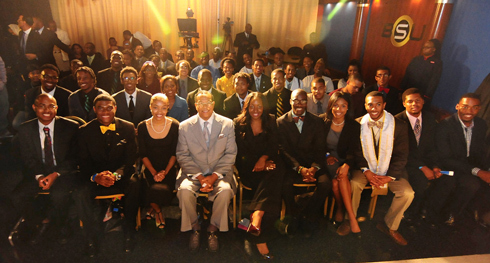 Minister Farrakhan awakens the students to their divine destiny. Every generation must make its mark on history. Black youth are the descendants of the Africans brought to America to be made slaves. That experience of enslavement has a scriptural and religious parallel: the Biblical and Quranic narratives of the enslavement of the Children of Israel. According to both Scriptures, it was the youth of the wandering Children of Israel who forged the way for their entire people to inhabit God’s Promised Land. It was the youth, led by Joshua and Caleb, who were unafraid of and conquered the “giants” in that land and were consequently dubbed the “Joshua Generation.” Minister Farrakhan teaches that Black youth are indeed the Joshua Generation for our people. His message is the inspirational food that Black youth need to see themselves as this new generation of fearless leaders. This entry was posted on March 22, 2013 by brotherdemetric.